“There are... a number of steps we can take to make our work even more efficient in delivering on our key priorities. There are many options but the goal must be one and the same: creating a Europe that delivers,” said European Commission President Jean-Claude Juncker. The European Commission on February 14 presented ideas to make the European Union more efficient and improve the connection between the leaders of EU institutions and the citizens of Europe. “There are… a number of steps we can take to make our work even more efficient in delivering on our key priorities. There are many options but the goal must be one and the same: creating a Europe that delivers,” said European Commission President Jean-Claude Juncker. 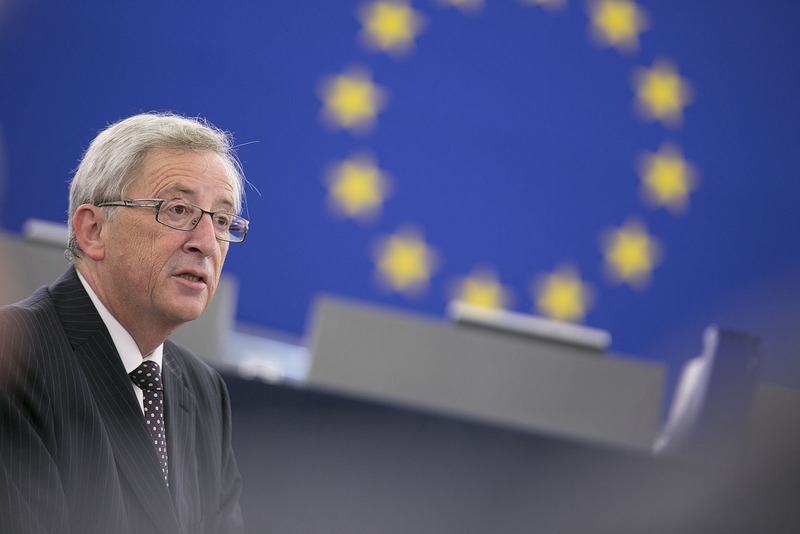 In his 2017 State of the Union Address, Juncker said that the 2014 “lead candidate” experiment should continue. According to a European Commission press release, the 2014 election process strengthened the relationship between the three EU institutions and improved the efficiency of their work. It helped them to align themselves around a common work programme for the five-year mandate. This is what enabled the Juncker Commission to work in a more political way and concentrate on where the Union delivers the best results, leaving the rest to member states. Now, the European Commission is setting out how the process can be improved based on the current Treaties while respecting the balance between the EU institutions and among the member states. This includes calling on political parties to make an earlier choice of the lead candidates, before the end of 2018, and for an earlier start to the campaign. The Commission has also recommended the link between national parties and European parties be made more visible. For instance, political parties at national level could use their logos in campaign and ballot material. Meanwhile, leaders in the European Council need to decide – on the basis of a proposal from the European Parliament – on the composition of the European Parliament for the 2019-2024 term and what to do with the seats left vacant by the UK. One option is to reserve a number of these seats for a transnational constituency. But the European Parliament on February 7 voted against a transnational constituency. While the Commission is sympathetic to the idea of transnational lists, this will require unanimous agreement of the Council, and changes to electoral law in all 27 member states in the next year to be applied for the 2019 elections. Another recommendation is for a double-hatted president – one person holding the office of president of the European Council and president of the European Commission. This was an idea floated by Juncker during his 2017 State of the Union speech. In other related news, the European Commission on February 14 presented options for the next budget. These will be discussed on February 23, before the EU executive presents a final proposal on May 2. The Commission wants an agreement from EU governments on the budget by May 2019. According to the Reuters news agency, the Commission’s top budget official Guenther Oettinger said the next budget should be bigger than the current one as the EU faced new challenges it had to finance, like joint defence and border protection projects or migration. He said the budget should be equivalent to 1.1% to 1.2% of EU gross national income. That compares with the current 1.0% which, depending on the year, is around €140 to €150bn. To address French calls for the creation of a special budget just for the 19 countries sharing the euro currency, the Commission said the overall EU budget should have a dedicated line of at least €25bn for the euro zone. According to Reuters, this money would finance structural reforms at national level and help countries still outside the euro zone to bring their economies closer to the single currency area. Meanwhile, to put pressure on countries such as Poland, where the Commission believes the government is not respecting the rule of law and is violating its constitution and undermining the independence of courts, money from the next budget should be conditional on respecting such democratic values. The Commission outlined several options for funding of joint new projects like an EU border management system, which in its full form would cost about €150bn over seven years, or a stepped-up student exchange programme which could set the budget back €90bn if one in three young people were given the opportunity to learn abroad. What is more, to better use the money available, the next EU budget could make use of financial engineering like leveraging, drawing on the success of the EU’s investment scheme which used €21bn of public money to generate investment of €315bn.